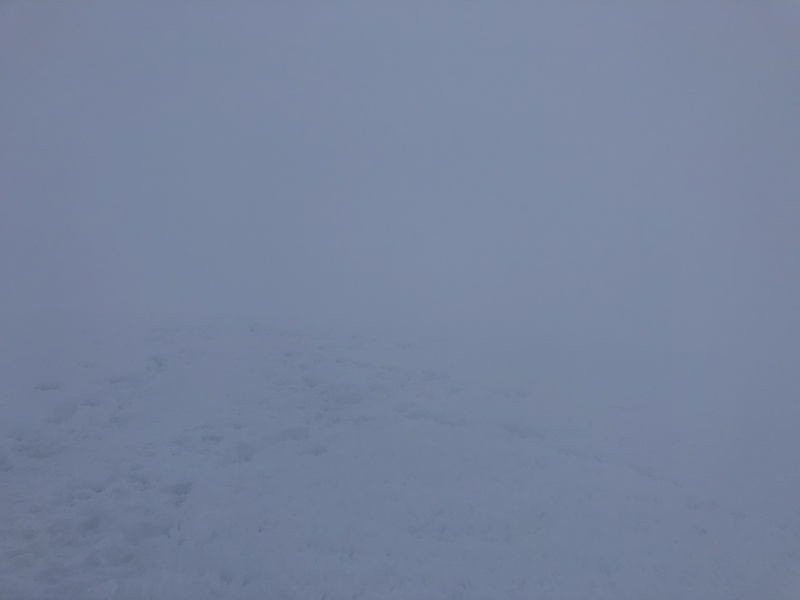 As we got up at 11 pm last night, Jan 27, the view of the stars from the High Camp on Chimborazo was breathtaking. The Milky Way looked like a long narrow cloud and the billions and billions of stars made even the best known constellations like the Southern Cross, Orion, Big Dipper almost invisible. 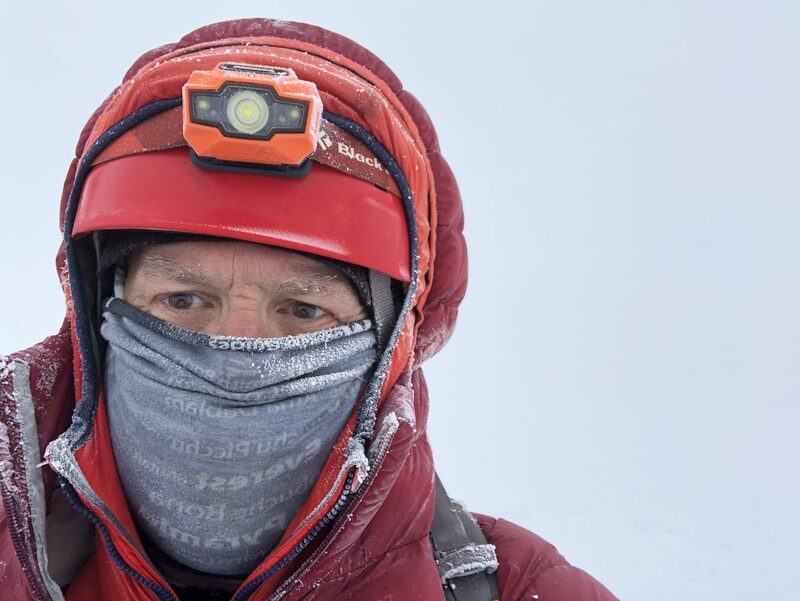 We left at midnight for our summit push full of energy and optimism. I felt great, yes great, at 17,500 feet. The benefit of living and climbing in Ecuador the past ten days. We made good time as we began following a nondescript path under an unstable rock wall for about an hour. We were swift and deliberate with our motion. Soon we left the wall for the flanks of this extinct volcano. 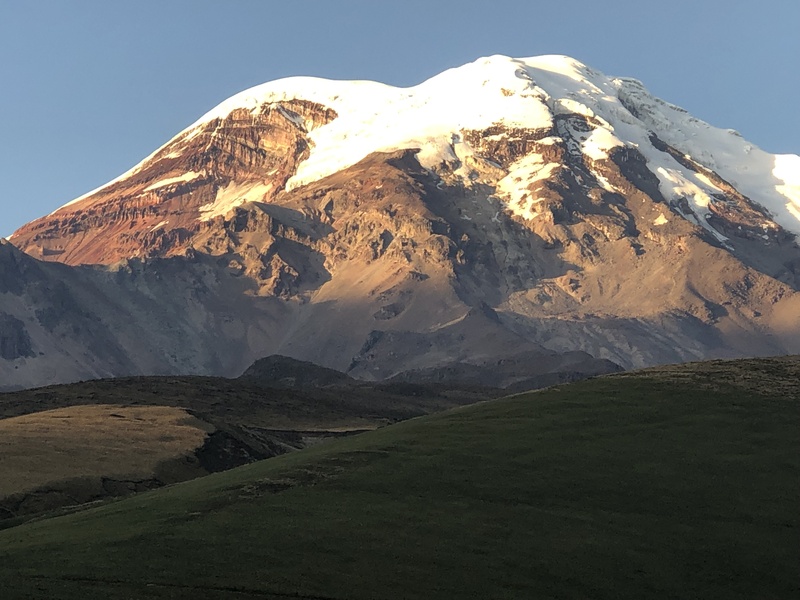 Honestly, Chimbo is more of a mountain than a volcano like Cotopaxi with its perfect cone shape. 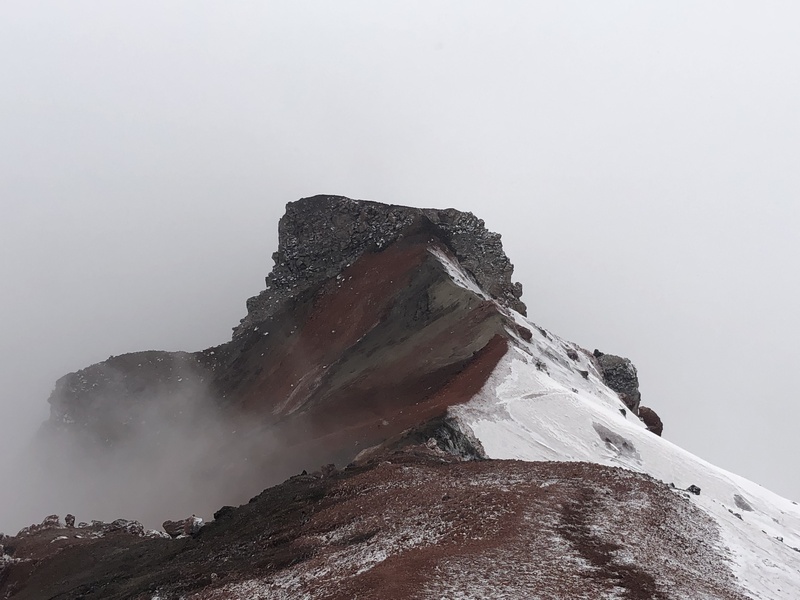 This volcano thinks it’s a massif with five summits and a base that takes up several square miles. Anyway, the wee hours of the morning passed as we navigated the route to the light of the stars. An impressive glow soon emerged on the summit as a half moon said hello. 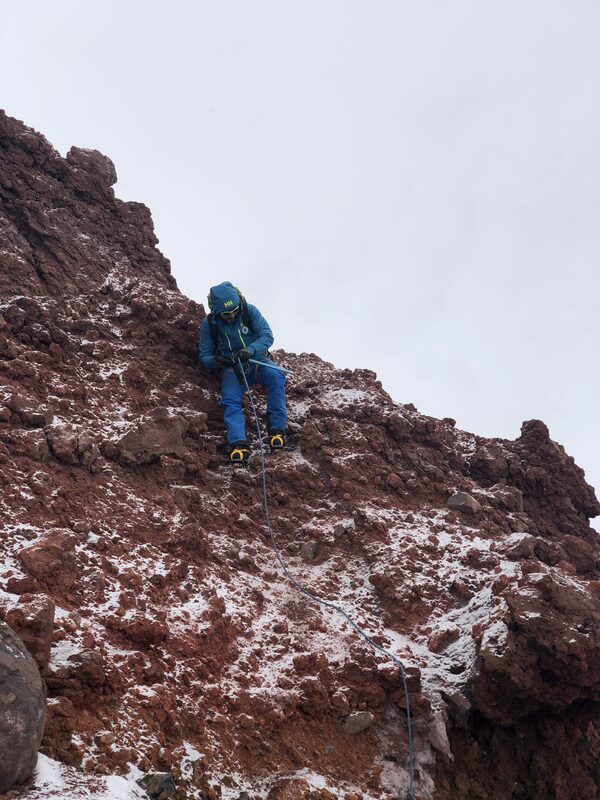 The climb was challenging, more so than Cotopaxi. 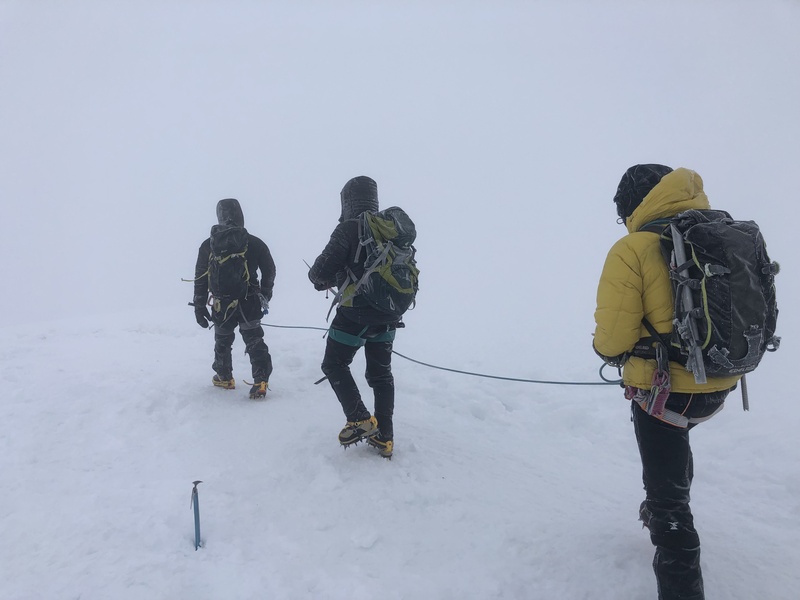 The snow was hard and icy at times and the angles were relentless, a constant 35 to 55 degrees that became more aggressive as we closed in on 20,000 feet. With seemingly no warning, the stars disappeared, our calm morning became a play named Gale and snow began to fall. All that was missing was Bing Crosby. 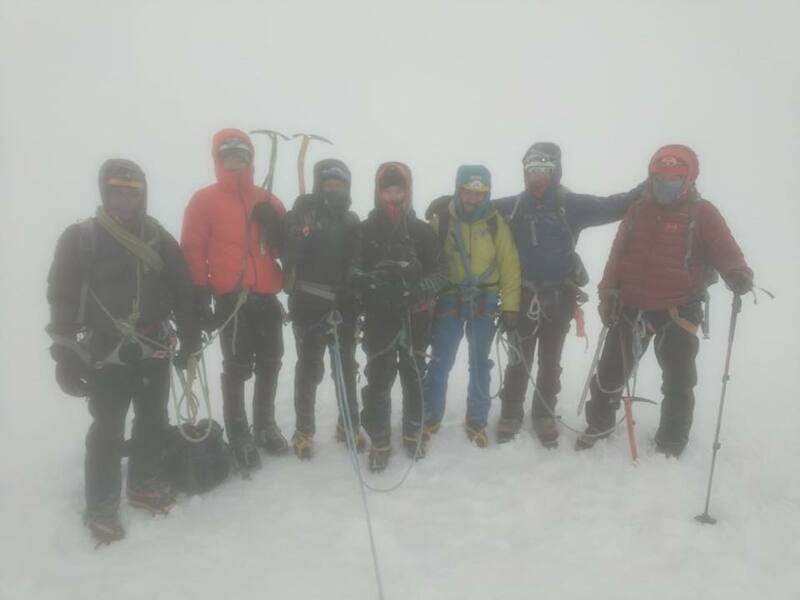 Our group of eight held an impromptu conference at 20,433 feet on Pico Veintimilla, one of the sub peaks of this “volcano”. 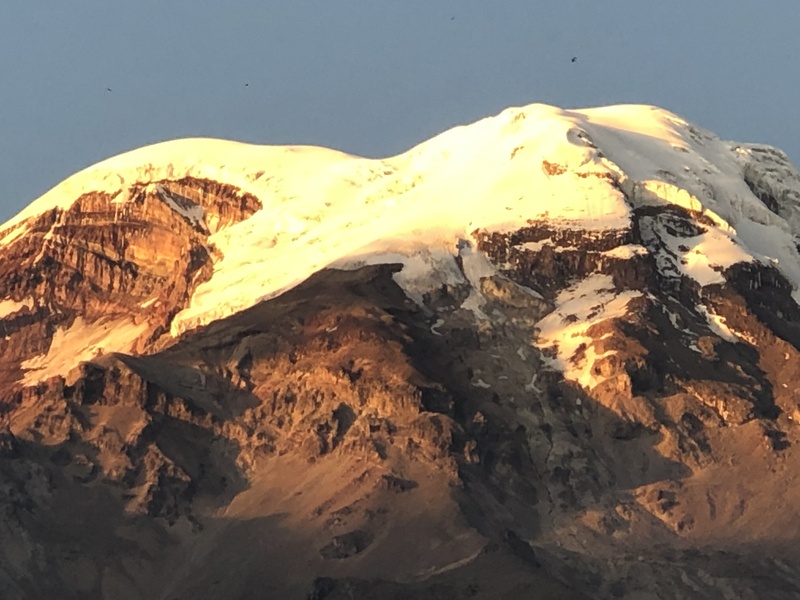 We were a quarter of a mile away, 131 vertical feet, from the invisible main peak of Chimborazo standing at 20,564 feet. So close yet … Hell we couldn’t see anything!!! 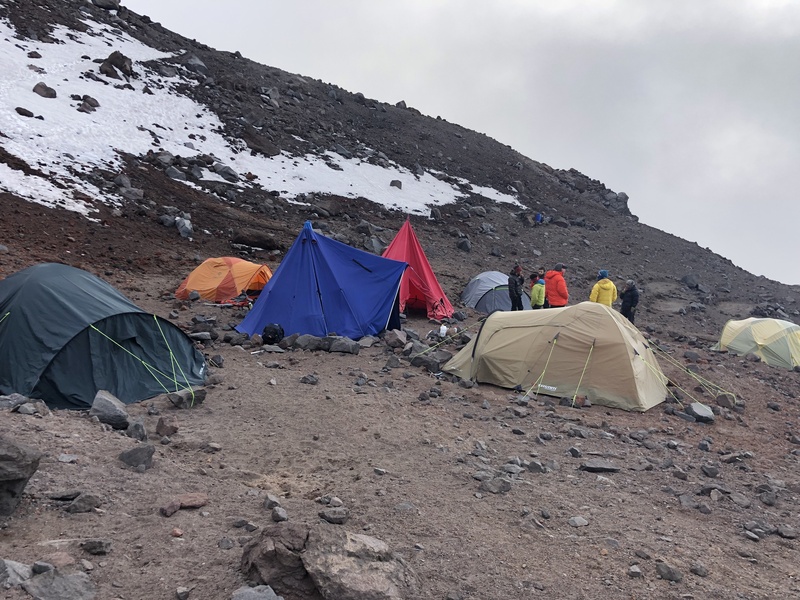 So with the objective danger of the rock wall, which was known to hurl soccer and microwave oven sized boulders on top of really nice people aka climbers as the sun warmed the walls, it was determined an orderly retreat was a honorable decision to get back to High Camp ASAP. Oh, and snow was blowing up our noses. Well, actually the answer to all those questions, while fun, is not all that important. What is, is that I found a new country I really like with some wonderful people, I figured out I can still climb to 20,000 feet and I confirmed that climbing mountains, even if they are cone heads, feeds my essence and makes me happy. 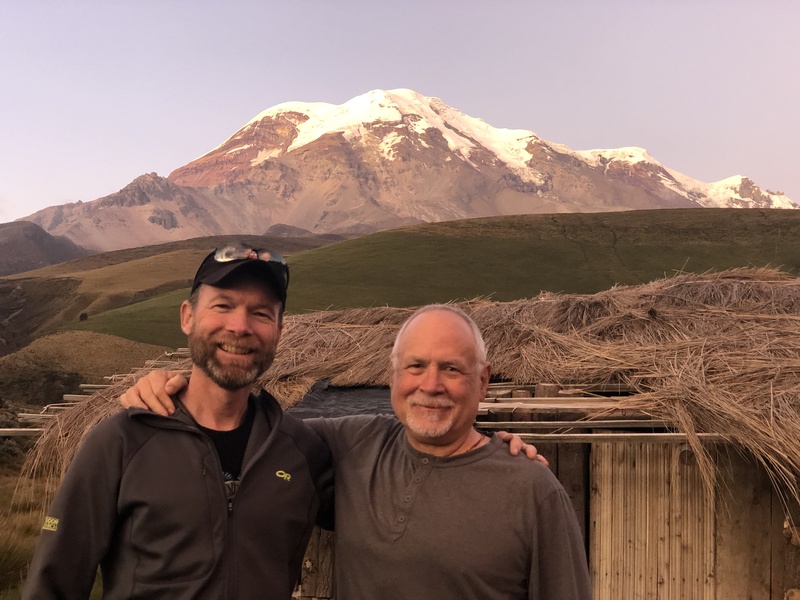 I’ll be posting on my blog a full trip report probably next week plus a comparison between climbing in Nepal compared to Ecuador.